I love it when I get to share shops with you that I deep down just love SO much. Aly's shop, Blossom & Vine, just relaunched with a new line of prints and I'm excited to have a few of them ready to hang in our guy's nursery. There is something so important about putting truth & scripture around my home, rather than just empty words and cheesy quotes. Not to mention, beautiful graphic design and amazing color palettes just make my heart pitter patter. If you're in that boat with me, then Aly is your girl. Hi there! My name is Aly. 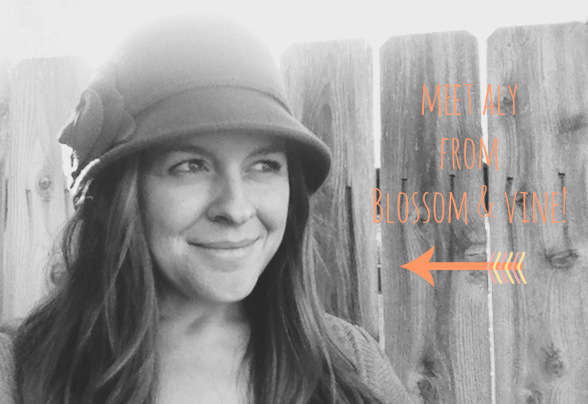 I'm a wife & mama of two girls, and I'm also the gal behind the print shop, Blossom & Vine. My shop is filled with scripture, mostly because that's how I survive life: with lots and lots of God's Word. I began designing prints during one of the hardest seasons of my life a few years ago. Throughout my journey of healing, the Lord showed me how I was believing lies over Truth, and how that was destroying me from the inside out. Determined to combat these lies, I carried around a little spiral of notecards where I had copied down all the verses that spoke life and freedom over me. I would read through it whenever I needed to. This spurred a desire to create something pretty to look at, something I could display in my home, and that's really how the print shop was born: out of necessity and desperation for Truth to reign in my own life. Just this week I've re-launched the shop with all new designs and all new verses, in an all-new location, and I'm so excited to share it with all of you! 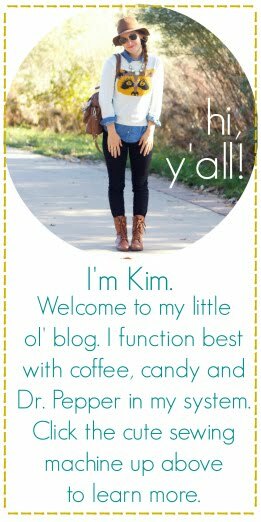 I hope you'll head on over and take a look! The winner of today's giveaway will get to pick ANY three prints from the Blossom & Vine shop. SO GREAT!!!! These are all lovely, but I think the fruit of the spirit one is my favorite. Question - What does following your blog through GFC mean? I follow, but I don't know if it's correct. Thanks for the help! love them all! but my favorite is the "Your love is Strong" print. The Fearfully & Wonderfully made print is my favorite! I love the Fearfully & Wonderfully made print. The background is very cute! i love all the prints from the sunshine set! My grandpa always sang "You are my sunshine" to me so it has stuck as a wonderful reminder of family. I think my favorite is the fruits of the spirit print. They are all cute though! I love them all! I think my favorite is "Break my Heart" & "Be Still"! love the nobody is perfect print! I love the "Joy and Sorrow" and "Fear Not" prints -- so lovely!! i love the "Mighty Savior" print! I love the fruit of the spirit print! I love the "Your Love Is Strong" print! I really liked the Hope quote! These are beautiful! I'm totally buying one (probably more...) if I don't win. :) My favorite one is "your love is strong." These are tremendous... I'm loving all of them! MUST have the fearfully and wonderfully made print! I love the Isaiah 58 print! Mt favorite print is Gratitude! Fruit of the Spirit is my favorite. I love the Hope as an Anchor print!! Rings so true to my heart! Goodness. I love them all, but there's something about the Fruit of the Spirit print that keeps drawing me in. Gorgeous!! These prints are beautiful - I would chose 'Break my Heart' as that is one of my favourite lyrics! I love them all, but be still and know is my favorite. The Mighty Savior print is beautiful! I love them all! My favorite favorite would have to be the Gratitude print though. Love the Show me how to Love print! I love the "Clothe yourselves" print--such a great reminder! I love the Be Still print. I love the sunshine set and "Give Thanks!" So adorable! I love them all. Truly. Nothing sweeter than scripture on my walls. Fav is "we have this hope" Hebrews. All are so lovely. i love the "love one another" print! I like the bathroom set as I have 3 boys.... and the fruit of the spirit for me as it's a great reminder. Thank you so much for being a part of this - I would use the money towards a new MacBook! Happy Valentine's Day! Gosh, I love them all but if I have to pick, I'd say the "Hope anchors the soul" one. Thanks! I love the sunshine set of prints! Hope as an Anchor and Show Me How to Love are my favs, but they are ALL so good!! I love the Sunshine Set! so cute! I am redoing my playroom and needing prints!! i love the fruit of the spirit one! Um, I happen to like a LOT of them, but my favourite is the Mighty Saviour one. I actually almost bought it earlier this week. I love her shop! What a great giveaway! I like the Hope is an Anchor and Fearfully and Wonderfully made prints. Both would be perfect in our nursery. I love the Psalm 55:22 one!!! I think the "A Good Work" is my favorite! All of them are adorable! So hard to choose but I would have to pick the "give thanks" print! love love! All of them :) "fearfully and wonderfully made"
I live the gratitude print!